In a nutshell, Merry Cemetery is a documentary about a unique and uplifting attitude a forgotten village in northern Romania called Sapanta has towards death, told through their cemetery which explodes with colour and humour. Sapanta sits within the Maramures region and is steeped in tradition that is still honoured today. 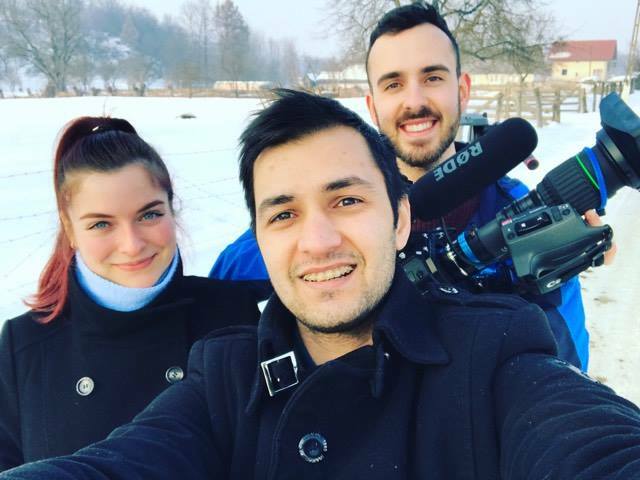 We are a dedicated team of third year Television Production students at Middlesex University eager to emerge ourselves in the local culture of Maramures, the region in Romania richest in tradition. We want to film a documentary showcasing their inspirational approach to death. When death comes to visit Sapanta, a forgotten village in the northern part of Romania, it is greeted with jokes and laughter. Still highly traditional in every aspect of their lives, the villagers carry on the beliefs of the Dacians, early inhabitants of Romania, who are said to have been fearless in battle and went laughing to their graves. 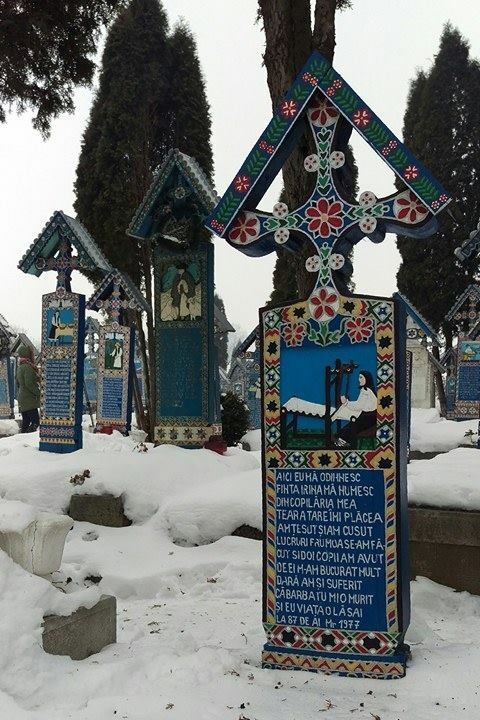 This aspect of Romanian folklore is evident in the village’s cemetery, unique in the world for its blue painted oak crosses adorned with colourful traditional motifs. Carved into the wood and painted are the portraits of the deceased, along with a personalised and mostly funny epitaph. This creates a jolly atmosphere in a place usually associated with grief. Our documentary will showcase this unique attitude towards death by exploring the origins of the cemetery, the process of creating such a wooden cross and how this practice is still being carried out today. It will also promote the local culture by featuring images of traditional houses and garments unchanged for generations, a truly rare sight in this modern world. Through Merry Cemetery we hope to familiarise the world with northern Romanian traditions and create the illusion of being transported back in time. Due to the remote location of the cemetery, the majority of our budget will be allocated towards transport. Other costs include accommodation, insurance for our filming equipment (provided by the university) and a few other basic filming necessities. If we meet our minimum goal, we will be able to cover a large proportion of our costs, namely our flights, accommodation, equipment insurance and baggage costs for our filming equipment. If we hit our stretch goal, we will be able to cover the costs of making our documentary in their entirety AND get other talented people to contribute! With the additional funds, we will be able to extend our team to include a composer, musicians and artists needed to create a traditional piece of Romanian music for our soundtrack, as well as narrators to help the story unfold. As a thank you to our contributors, we are offering rewards ranging from a special "Thank You!" message and a shout-out on our social media all the way to a special mention in the credits of our final documentary. Please see the rewards list for more information. If you want to keep up with our progress or simply see some snapshots of the stunning views Sapanta offers, check our our Facebook page @ merrycemeterydoc - https://www.facebook.com/merrycemeterydoc/ - or search for our posts on Instagram using #merrycemeterydoc . Also, keep your eyes peeled for our special BEHIND THE SCENES video coming up soon! Please help us spread the word by liking and sharing our page and use the #merrycemeterydoc to show your support! Special shout out on our social media pages. Special shout out + Exclusive location photos. Special shout out + Exclusive location photos + Special "Thank you" mention in the 'behind the scenes' video. Everything already mentioned + DVD of the final documentary. Everything already mentioned + Special "Thank You" mention in the credits of the final documentary.